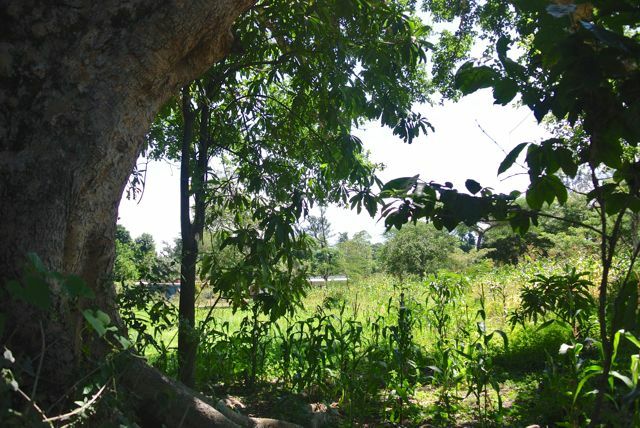 A 6 acre piece of land was recently donated to the UAACC. This new land provides us with an opportunity to become more self-sufficient by being able to produce our own food. 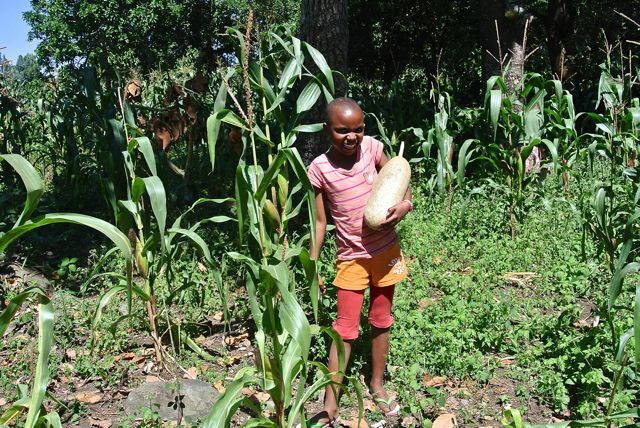 The children and the students from the day school planted the 6 acres with maize in March and we are now eagerly awaiting the harvest. 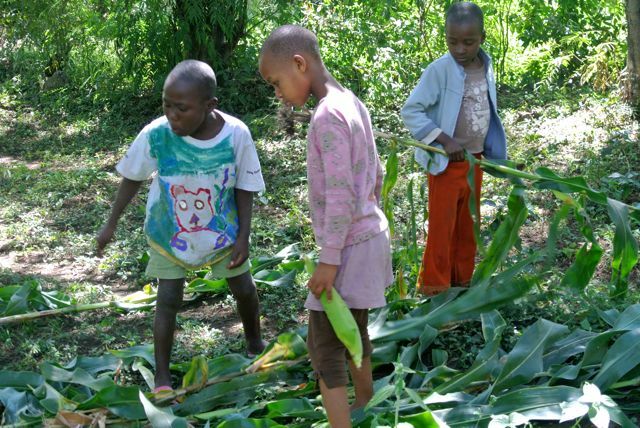 Last Friday the children went out to the shamba (farm) to check on the progress of the maize. It is growing tall and they even brought a few home to roast. The full harvest should be happening soon. 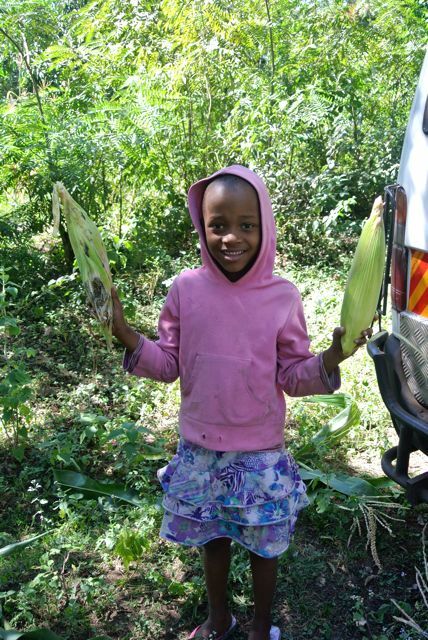 This maize plays an essential part in part feeding the children and supporting the new lunch program for students in the day school. 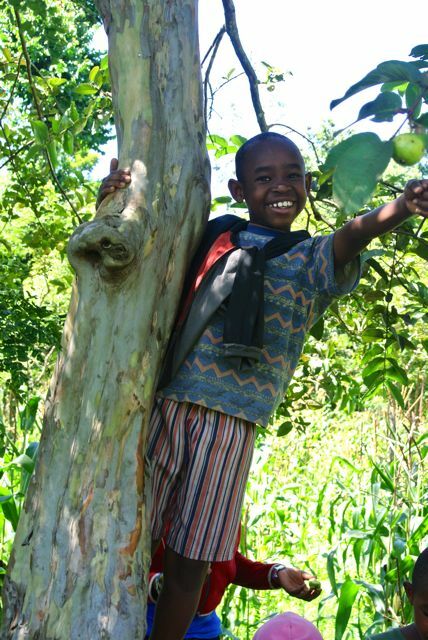 The beautiful new shamba with lots of maize planted and lots of wonderful fruit trees. 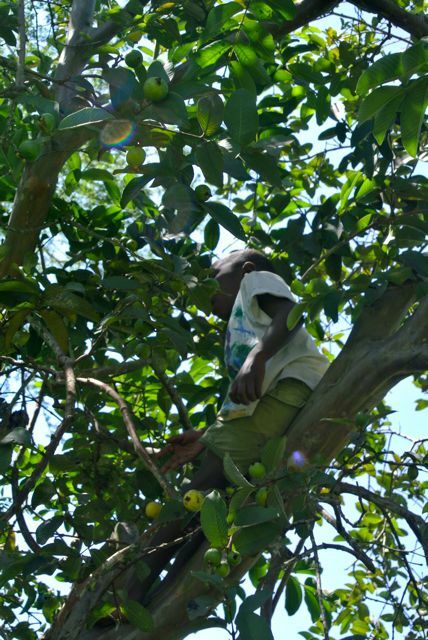 Omari climbing up a pear tree. 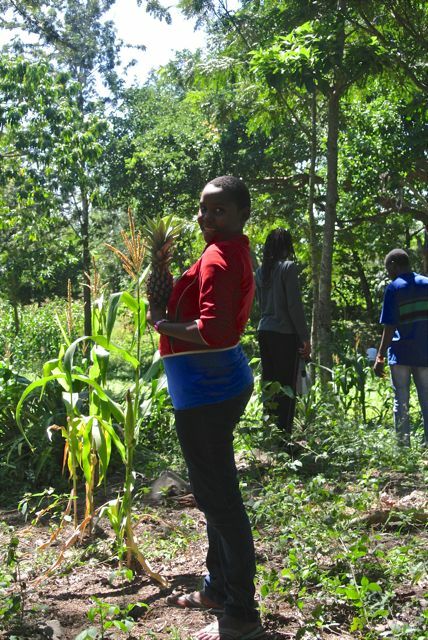 Irene found a pineapple at the shamba! Winnie holding a large sausage fruit! 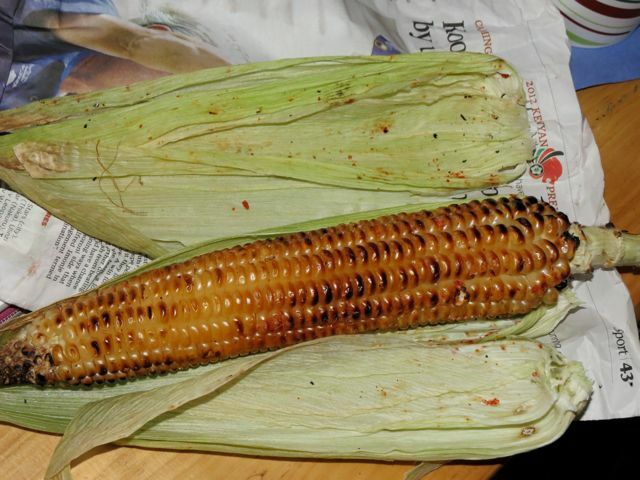 Mage with some maize to take back to the center. Ayubu, Anedi and Maria getting maize to bring back to the center.